Today at the gym we will be partaking in the 2014 OPEN workout. All of the classes will be doing this workout in the programming but if you are registered you need to be judged by a CERTIFIED JUDGE and possibly filmed. 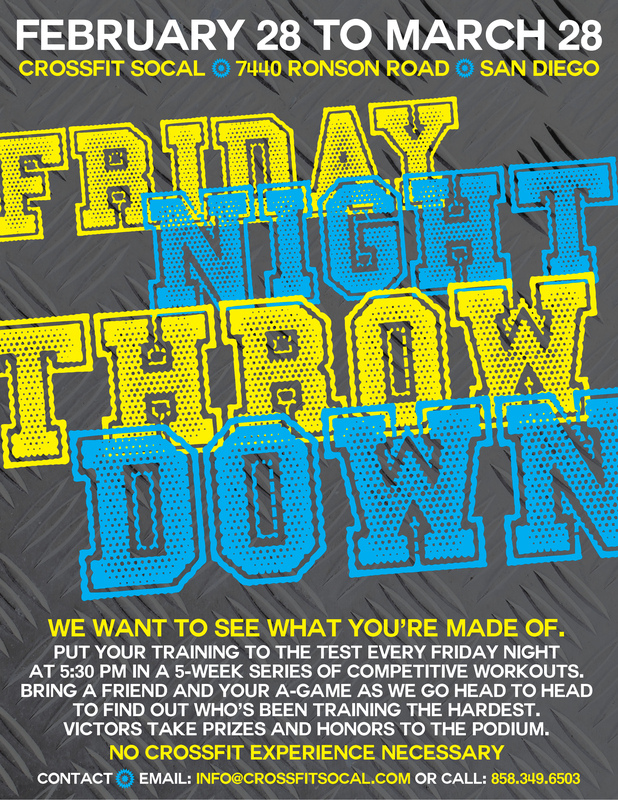 We strongly encourage you to complete the workout tonight at the FRIDAY NIGHT THROWDOWN unless your schedule prevents you from doing so.